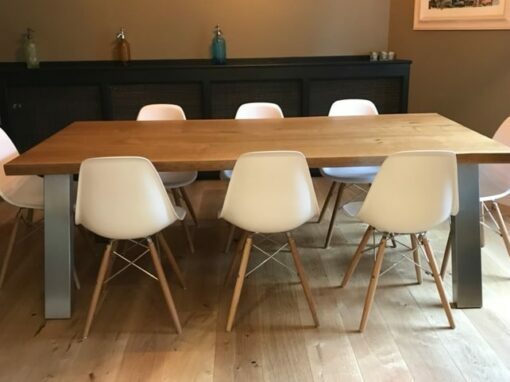 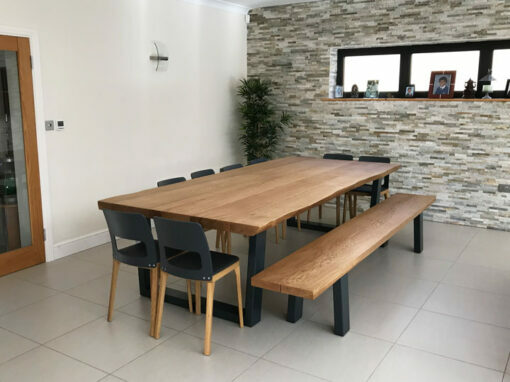 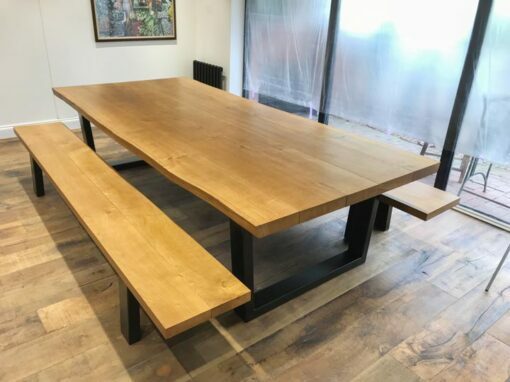 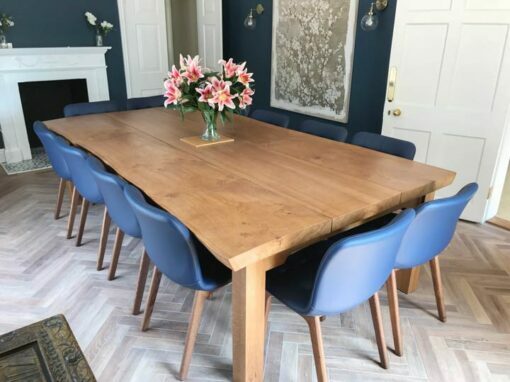 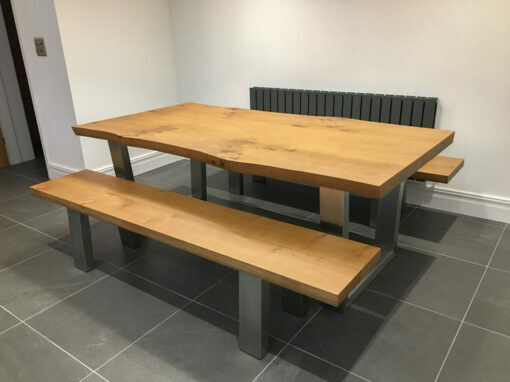 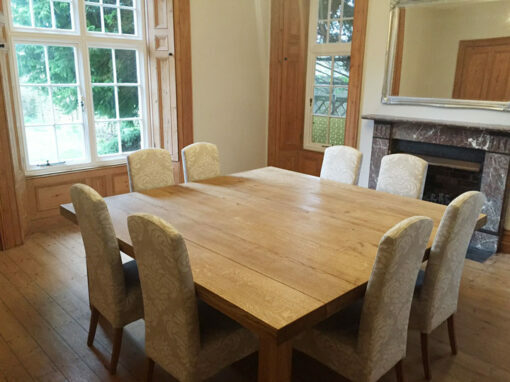 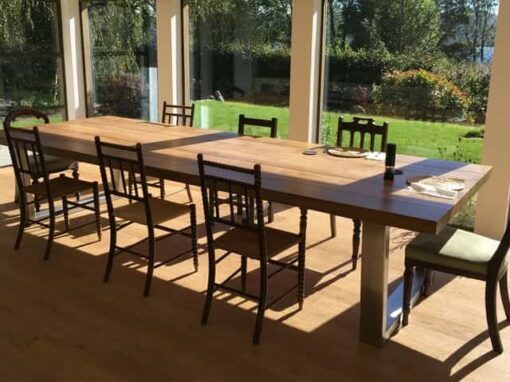 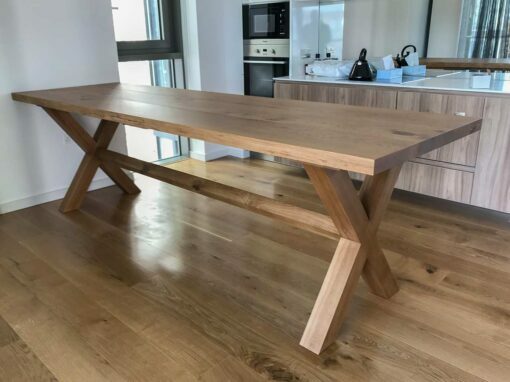 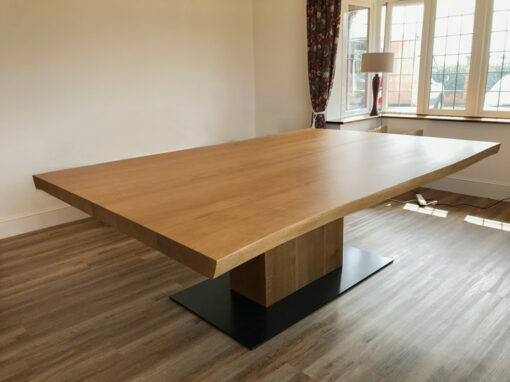 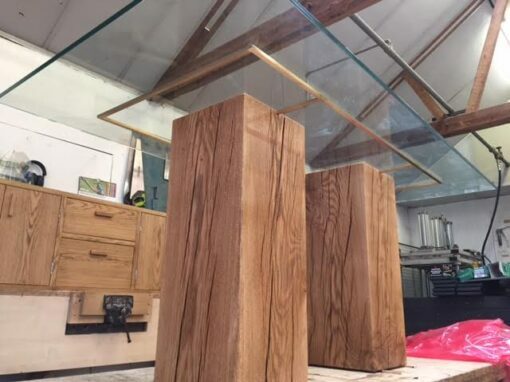 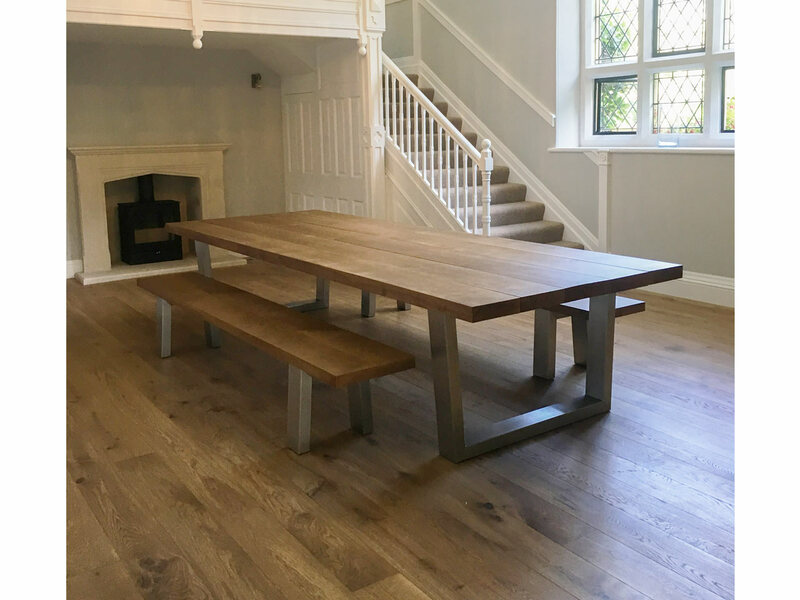 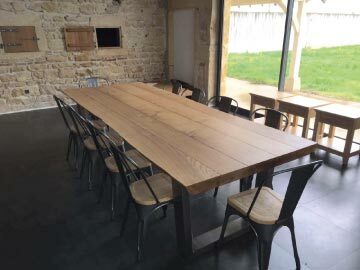 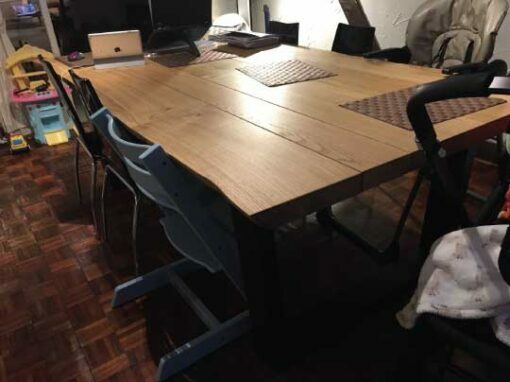 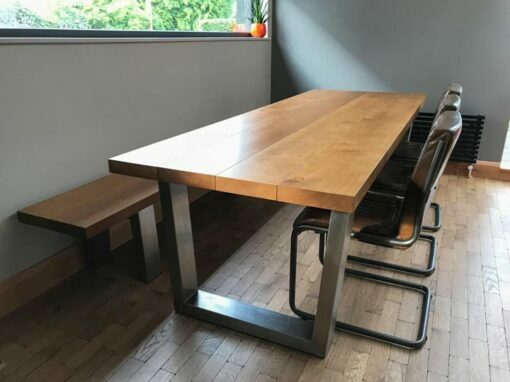 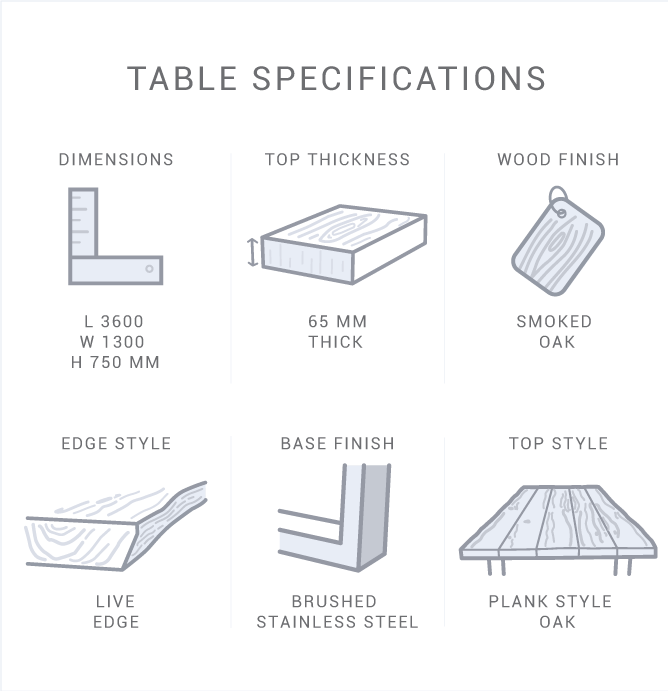 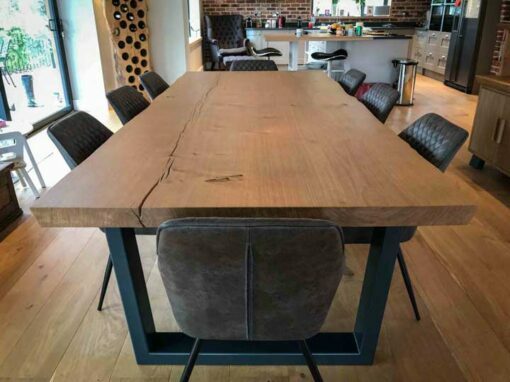 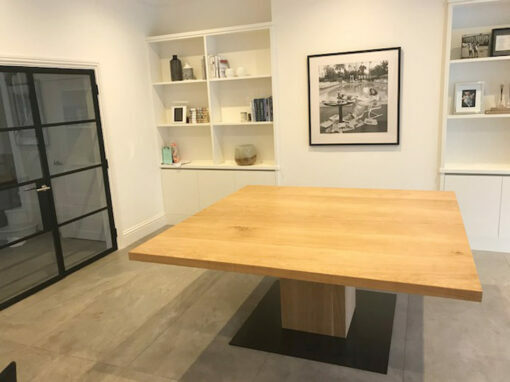 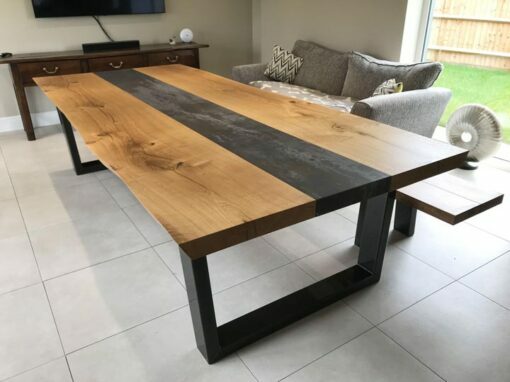 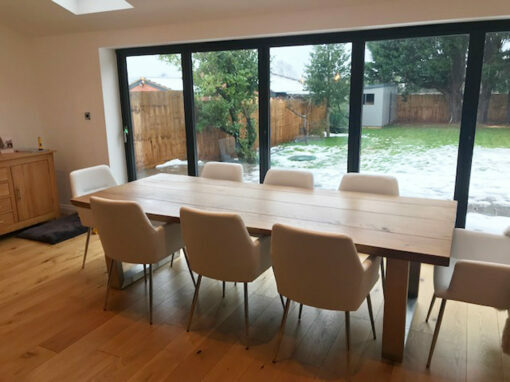 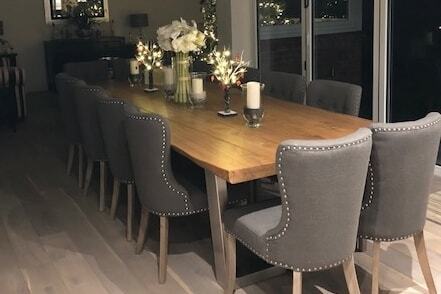 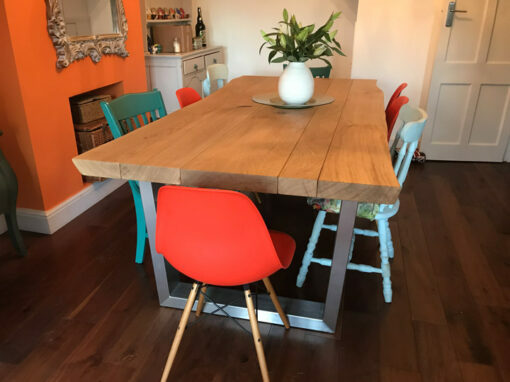 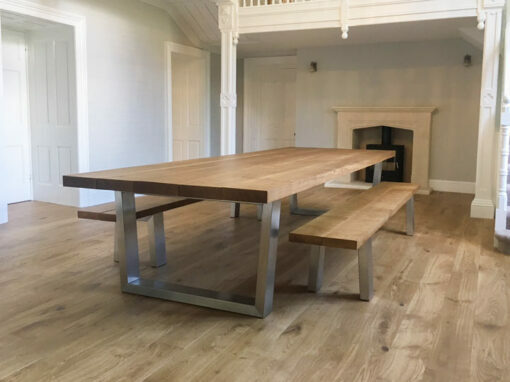 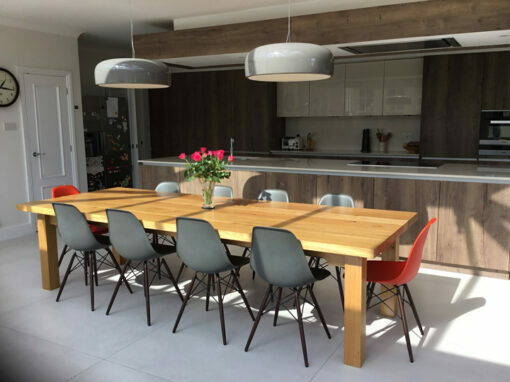 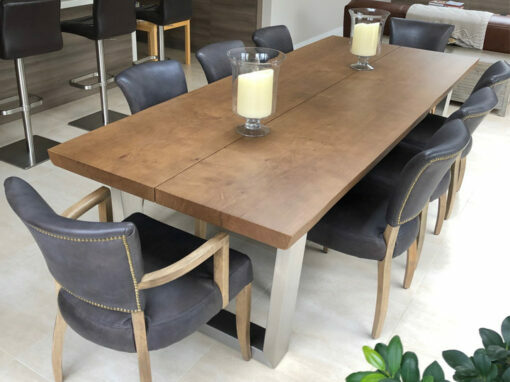 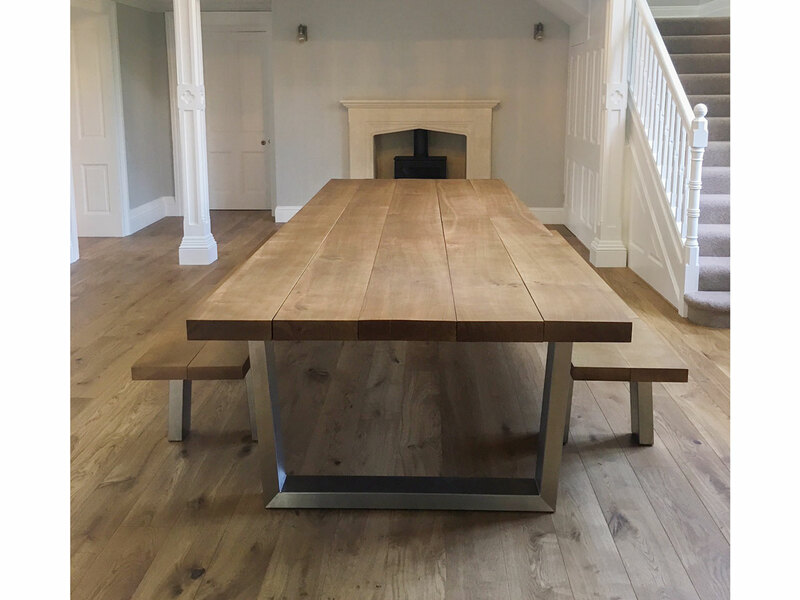 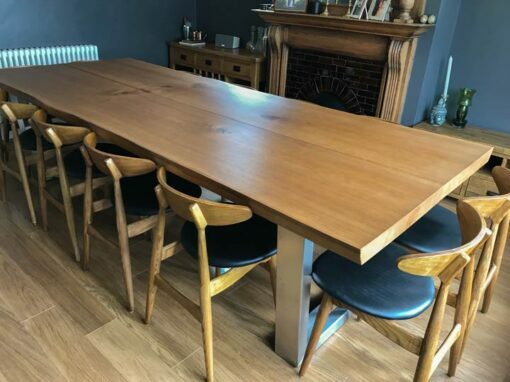 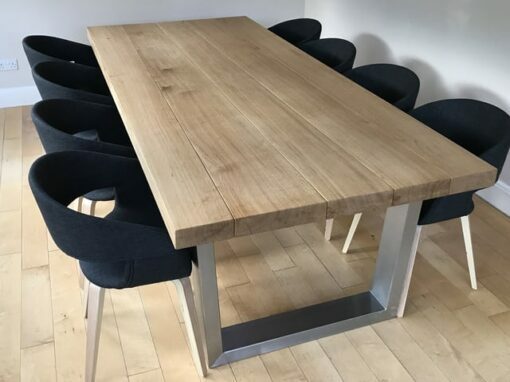 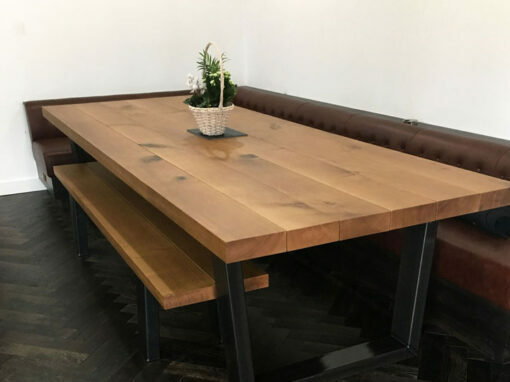 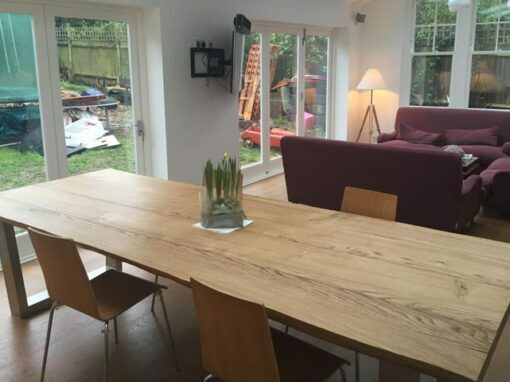 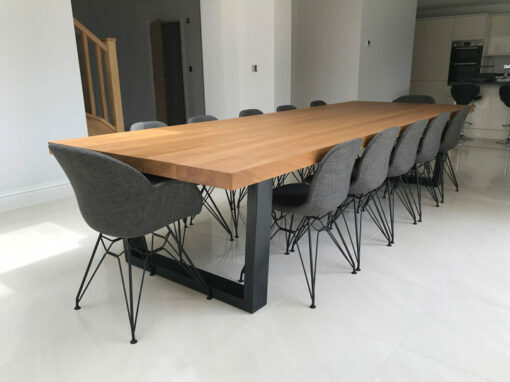 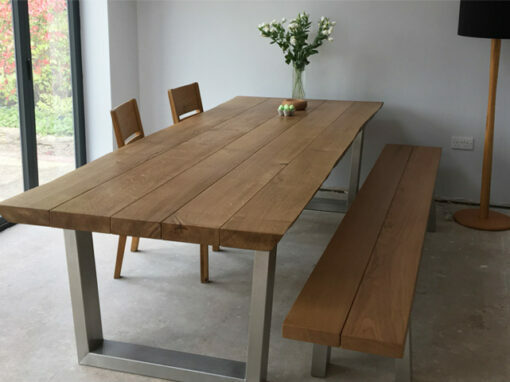 We made this extra large dining table and benches to be a noticeable centre-piece to what can only be described as a hugely impressive house. 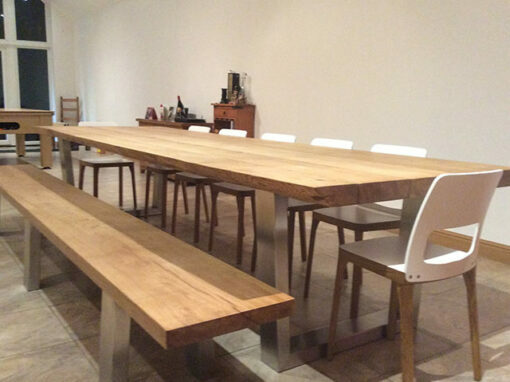 The space had very tall ceilings and needed a table that was a bit out of the ordinary to do justice to it. 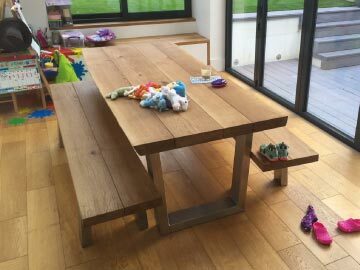 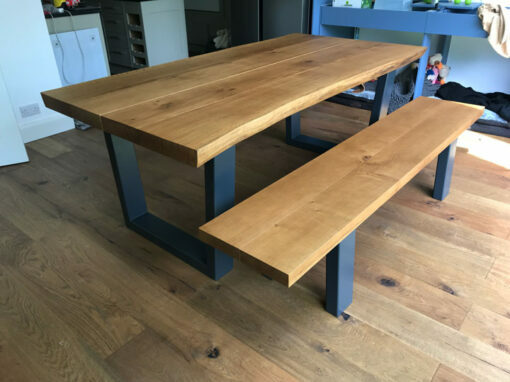 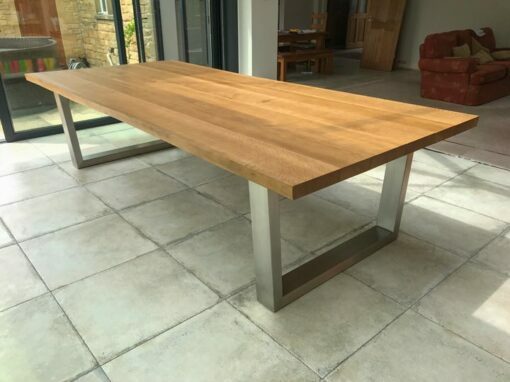 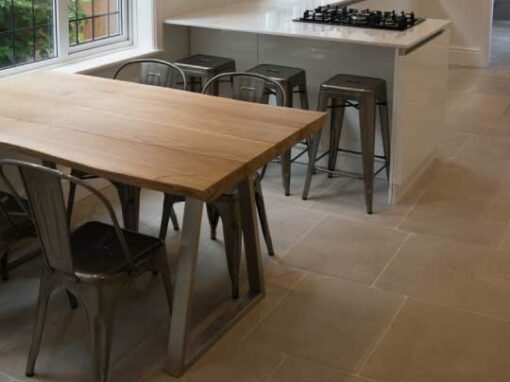 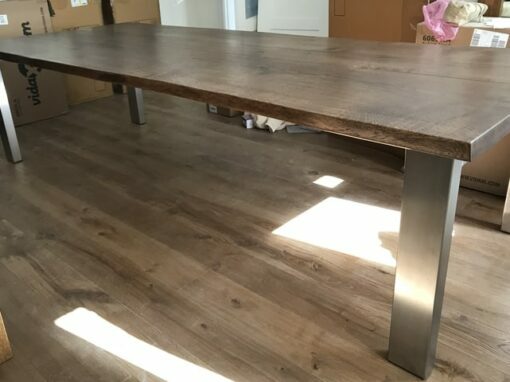 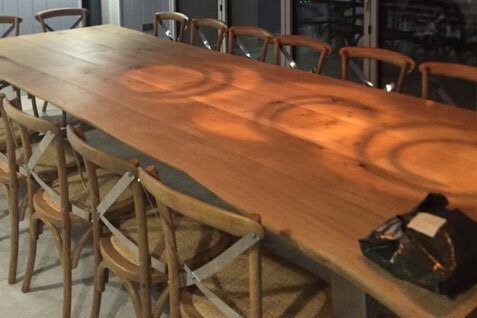 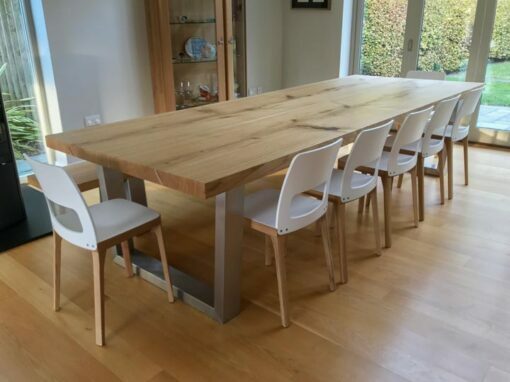 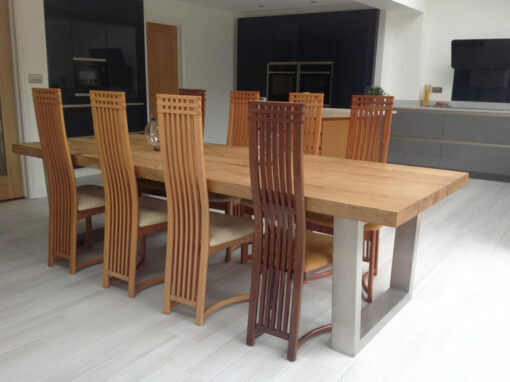 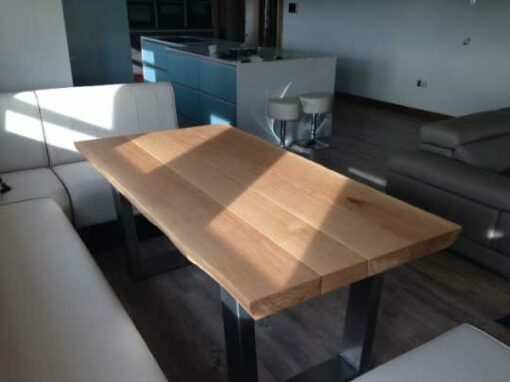 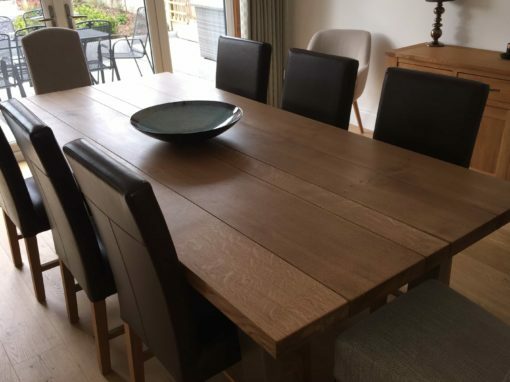 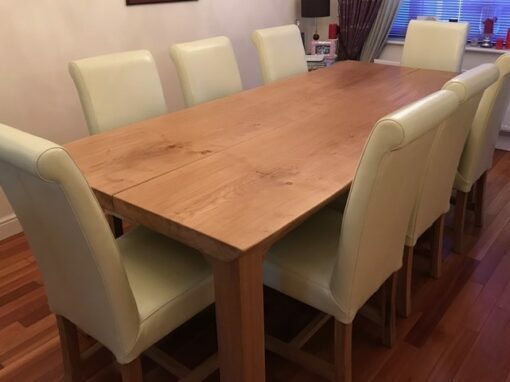 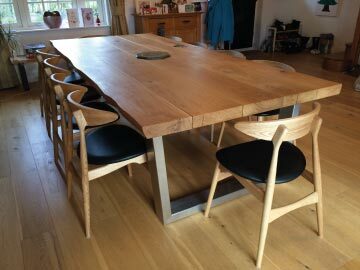 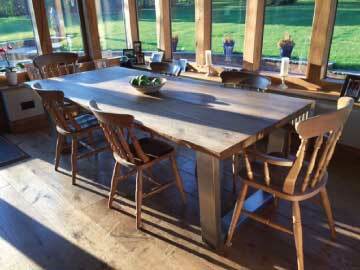 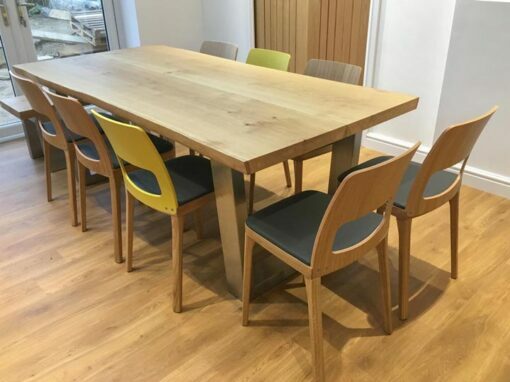 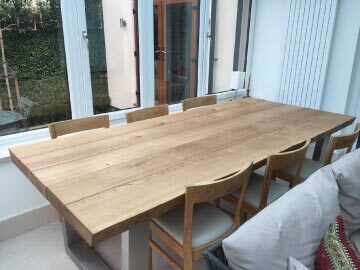 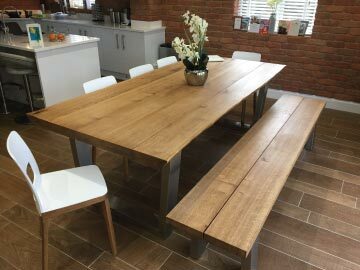 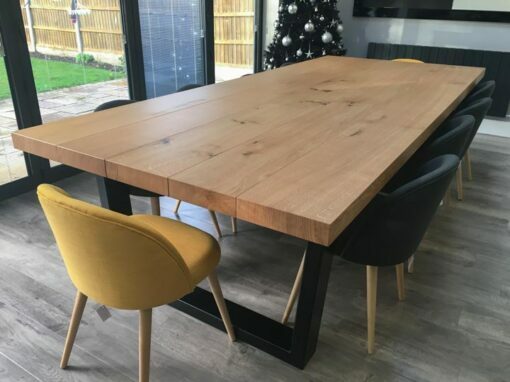 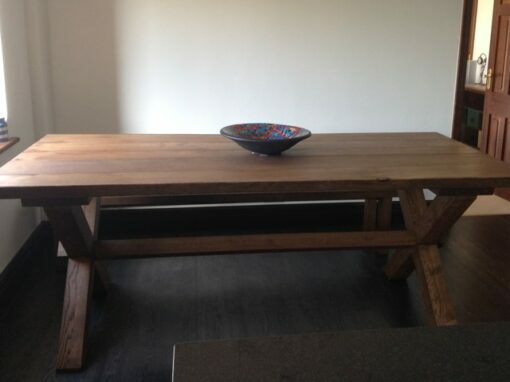 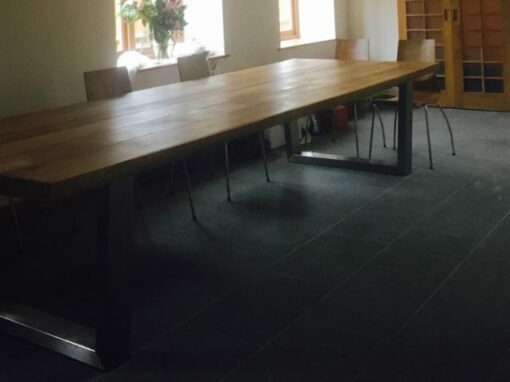 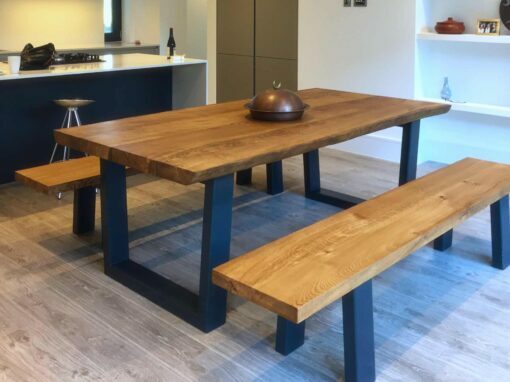 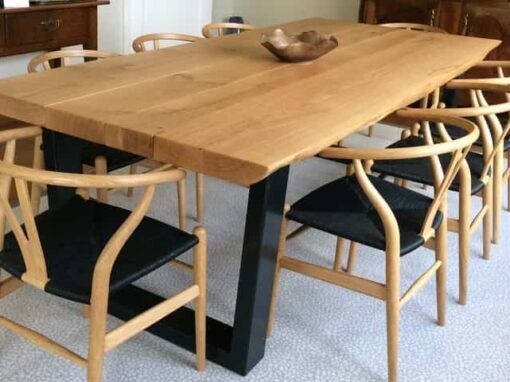 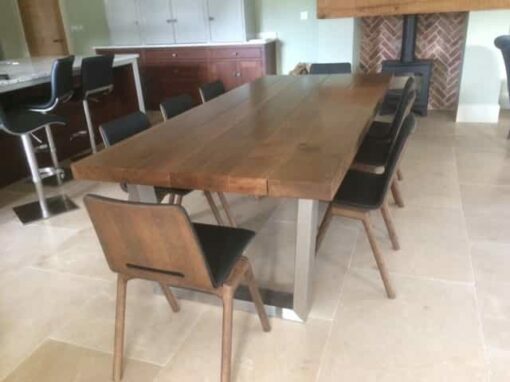 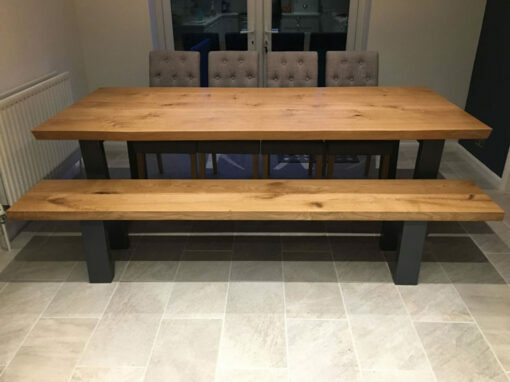 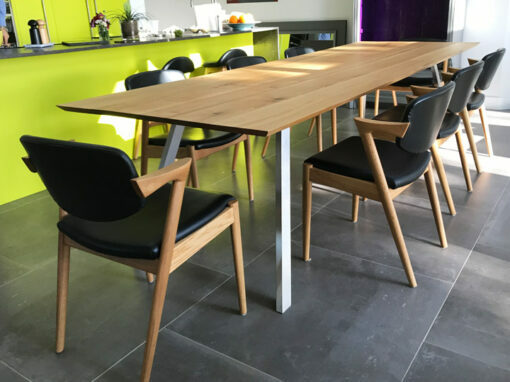 This large Komodo table and bench set with extra chunky 65mm thick live-edge top did the trick and looked great.